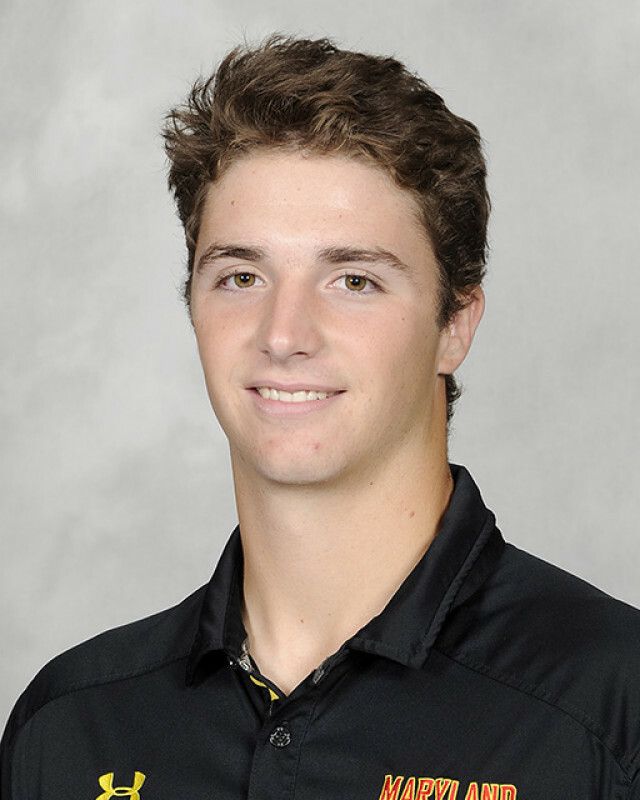 Last November, Maryland Baseball Network’s Dylan Sinn profiled Mark DiLuia, who had just signed to pitch for the Terrapins. A year later, Sinn sat down with DiLuia as the freshman prepares for his first season of college baseball. Mark DiLuia is late. 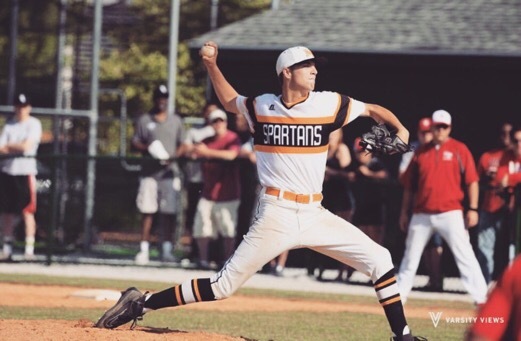 The freshman and I had planned to meet so we could talk about his transition from being one of the best high school pitchers in Illinois last year to one of 10 members of Maryland baseball’s 2017 recruiting class. Before our scheduled meeting time, DiLuia (pronounced De-LU-ya) lets me know, while apologizing earnestly, that the team’s practice longer than expected, so he won’t be able to make it on time. When he arrives later, he extends a giant hand, grasps mine firmly, and apologizes again. I assure him it’s not a problem. He never mentions that it is birthday. To be clear, DiLuia’s “stuff” is impressive, as well. He has a fastball, change-up and slider in his repertoire, all three of which he can throw for strikes. The lanky 6-foot-3 right-hander’s fastball has touched 90 mph in fall workouts, which led Prep Baseball Report to rank him the No. 11 high school player in Illinois just before his senior season at Marian Catholic High School. During that senior season, DiLuia planned to work on the command of his pitches, a goal he says he accomplished. The improvements paid off as the Homewood, Illinois native went 7-1 with a 1.68 ERA and Marian Catholic reached the 3A state championship game. DiLuia pitched his team to the title game with a complete-game 4-3 victory over the 30-9 Champaign Central in the semifinal. His performance as a senior was good enough that the Texas Rangers selected him in the 38th round of the 2017 MLB Draft. DiLuia had signed to attend Maryland in November 2016 and he decided to go to college instead of entering the professional ranks. He arrived in College Park in August after a turbulent summer for the Maryland baseball program. In mid-June, then-Head Coach John Szefc left Maryland to take the same position at Virginia Tech, and took Pitching Coach Ryan Fecteau with him. Fecteau was one of the coaches who had recruited DiLuia to the Terps, and his departure left the incoming pitcher feeling a little uneasy about the change. “It was definitely a little nervous at one point because I was like, ‘Man if [then-assistant coach Rob] Vaughn’s not coming back, then I won’t know anyone on the coaching staff,’” said DiLuia, who got the news of the coaching change the same day he had beaten Champaign Central. Freshman right-handed pitcher Mark DiLuia. Photo courtesy of Maryland Athletics. The uneasiness was allayed somewhat when DiLuia found out Vaughn would step into Szefc’s role as the head coach, and assuaged even more after he talked to Muscara, Fecteau’s replacement, in early July. Once he saw his new protégé pitch, Muscara was excited too. Muscara’s comments are somewhat at odds with how DiLuia views his own velocity, which he says he has struggled to increase over the last several years. “The last couple of years I’ve been kind of upset with myself, I haven’t really seen a big jump in velocity, but I just keep telling myself, keep working harder, keep messing around with different things and the velocity will come,” DiLuia said. One aspect of the freshman’s quest to throw harder has been an attempt to put on weight through diet and strength training. “More mass equals gas, as Coach Muscara says,” DiLuia said, laughing. Despite his impressive performance in fall workouts so far, he is not sure what is role on the pitching staff will be when the season starts in February. He isn’t too concerned about it, though; he just wants to help the team. Featured image courtesy of Mark DiLuia.